She is trying to live her life in between bombings. 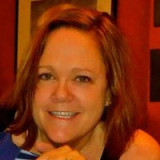 She is homesick for her children and her past life in America. Ruby lives in a day and age in which she is beholden to the wishes of her husband who is a converted Catholic and quite fanatical. Her diary is the only place she can reveal her true feelings. She has many thoughts and feelings that could not be expressed out loud in that day. 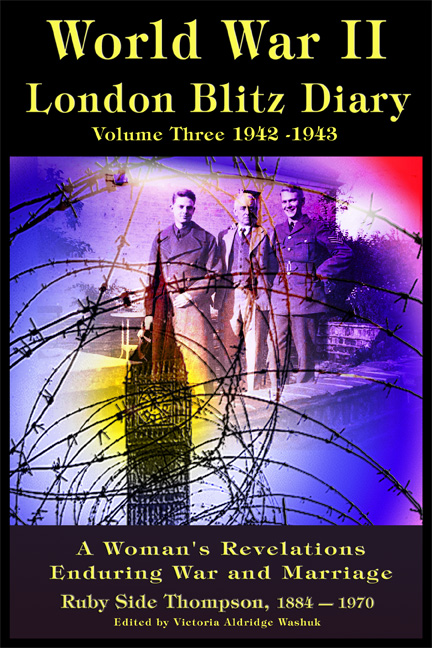 The diaries are a series of 4 volumes. 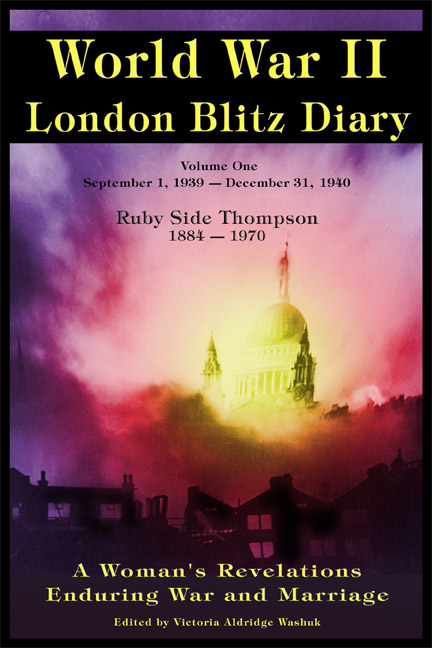 The books are diaries written by my great grandmother detailing both her personal and historical experience living in London during the World War ll London Bombing Blitz.